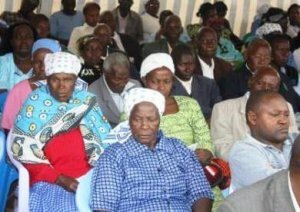 Thika Community Development Trust –TCDT- is a Christian development agent, established in 2004 and registered under Trust Deed in 2006 by the Anglican Diocese of Thika in Kenya. Our Mission: To enhance the building of the kingdom of God in its wholeness by empowering the community savings mobilization, credit provision and capacity building, using efficient and effective coordination, to improve their social-economic status and win them for Christ. Our Vision: To be the best community based micro finance institution in Kenya, founded and managed on Christian values. Thika Community Development Trust (TCDT) is the microfinance project of the Anglican Diocese of Thika. Started in 2004, the project’s aim is to contribute to the efforts of poverty alleviation in the district. This is achieved by supporting Community led and Managed Savings and Loan Funds groups established along the diocesan parish structures at the grass roots level. The groups established are referred to as Trust Groups. The element of trust is a major component in the operation of the groups and an essential element in the groups’ solidarity cells co-guaranteeing mechanisms.TCDT is in partnership with Five Talents International, who has in the years provided technical and financial support to the program. Overtime, TCDT has noted increased social and economic transformation among its clientele and the cascading benefits of the project have been enormous. Through organized businesses trainings, members are equipped with necessary skills to start businesses and/or expand existing ones. Fast growing Trust Groups are later converted into Financial Service Associations or Community ‘banks’ a model that is more superior and can accomodate large portfolios effectively. Community ‘banks’ are open all working days of the week. Potential to generate and undertake more business. Potential to adopt new technologies Capacity to engage in competitive business alongside other organizations. Potential to generate more wealth to owners/ shareholders. Open for business through all business days.